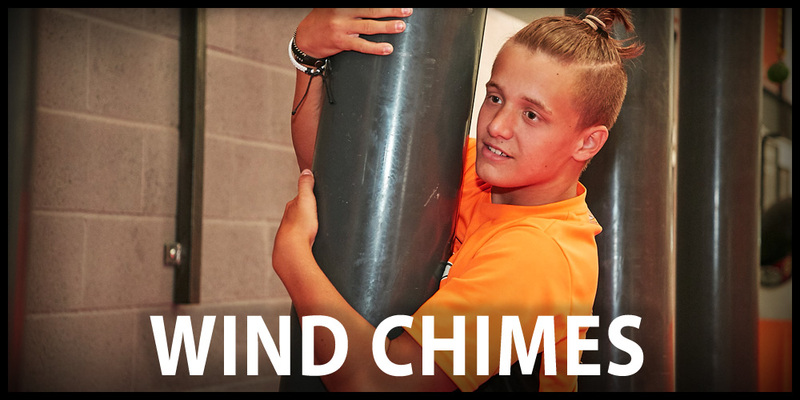 WIND CHIMES MIGHT BE A FAMILIAR NAME – BUT A GENTLE TINKLING ON THE BREEZE IS THE LAST THING THAT WILL BE ON YOUR MIND WHEN YOU TAKE ON, AND START SLIDING OFF OF, THESE BEASTS! With the opportunity to cling onto a single wind chime with both arms and legs you’d think this would be a breeze – but it’s not the hanging on that presents a challenge here though, it’s reaching for the next wind chime and releasing your vice like grip to move on to the next, overcoming gravity while you do! Get a good grip with your legs - nice and high on the wind chime. Rotate to reduce the amount of reach you'll need. Make sure you've got a really good grip on the new wind chime before letting go of the current one!